Maybe you’re thinking about ordering from our website? 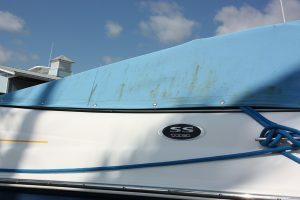 Maybe your brand new boat canvas is in hand, and you would like some help installing it? Maybe you want to be sure you keep it looking like new through many years of use? Whatever the case may be, AmeritexDirect is here to help you succeed in making your boat canvas the best it can be. You’ll find several links in this section to answer the most common questions. But, if you don’t find what you’re looking for, please contact customer service and they will be happy to help.